You’re the kind of person that knows there is something truly classic about black and white home decor. Timeless sophistication and a bold statement even with (or because of) the lack of colour – black and white perfectly sums up elegant Victorian floor tiles or Art Deco designs. 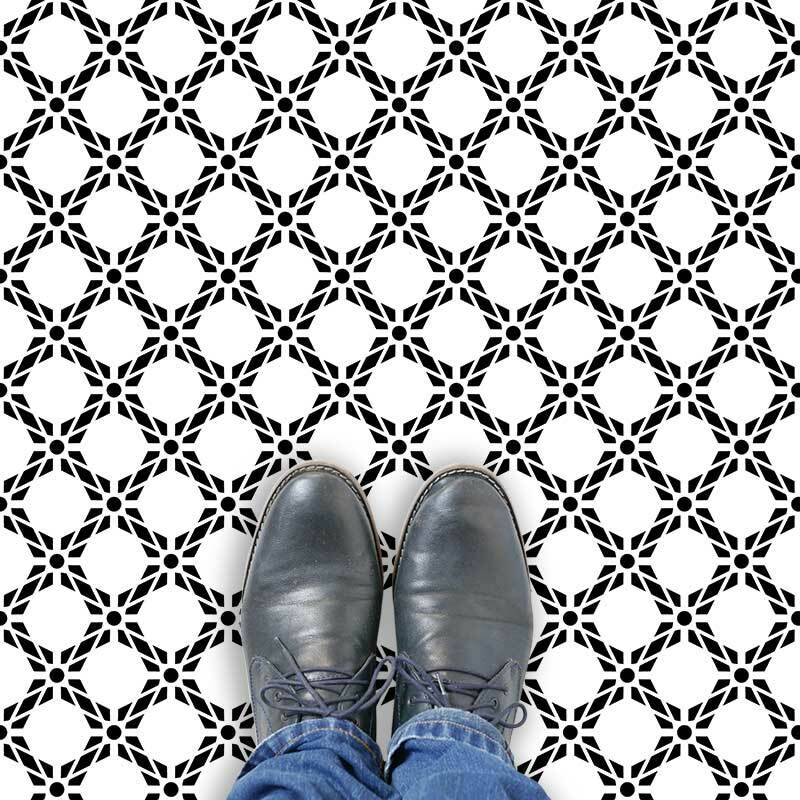 If you’re lucky enough to have the original black and white tiles in your hallway, we’re green with envy! 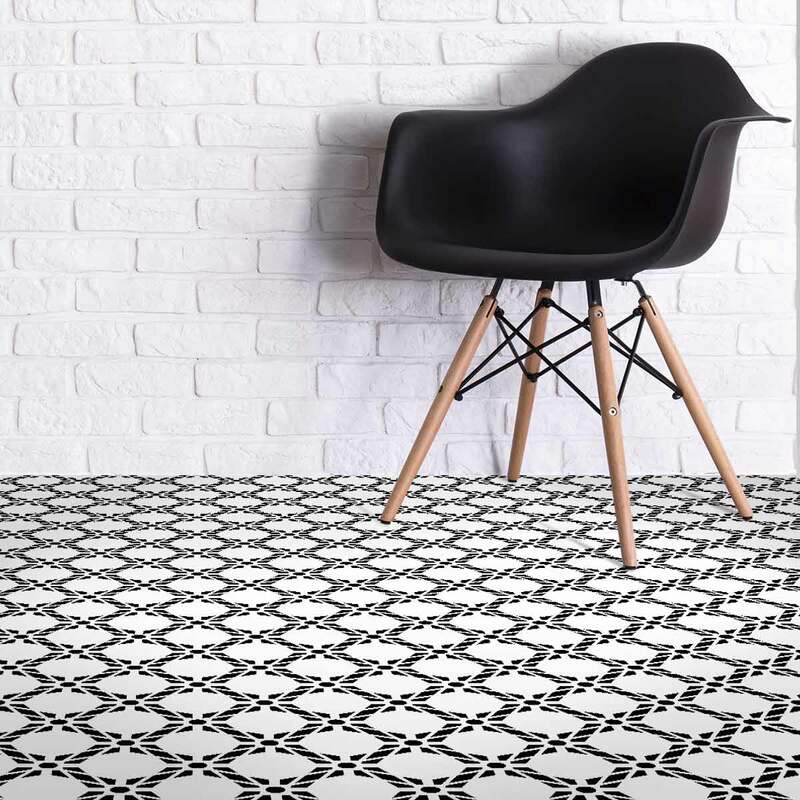 For the rest of us, black and white vinyl flooring could be the simplest and most cost-effective way to capture that same charm and elegance. 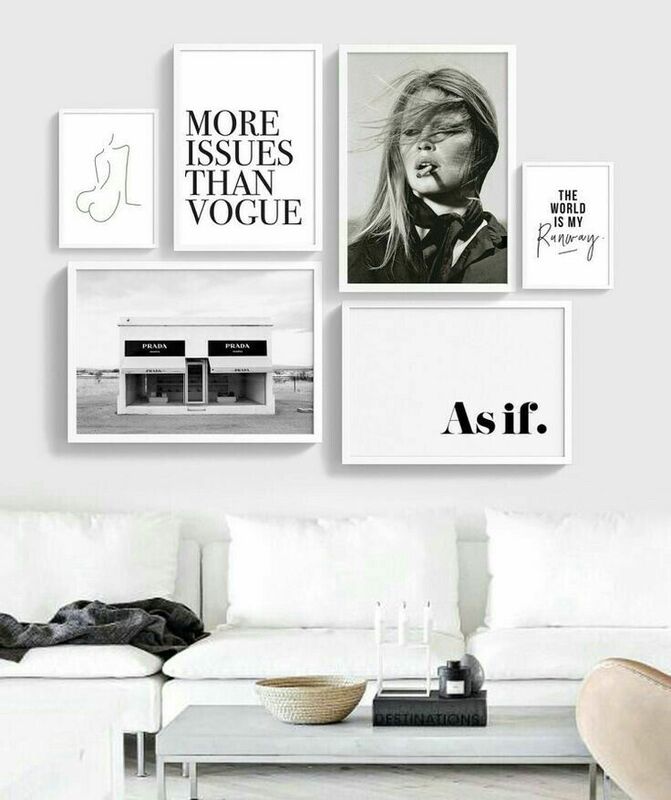 If you’re here looking for monochrome inspiration and ideas for two-tone home decor, we might just have the solution. Read on and prepare to see that just maybe, the world really is in black and white. Dating back to over 500 years, European paintings are thought to be the first to show black and white checkerboard flooring. However, the pattern itself of repeating squares dates back way further from that. It makes an appearance in both Roman and Egyptian art. The black and white were thought of as life’s two overriding elements. Just as in Yin and Yang, they represent the good and the bad, the light and the dark, the negative and positive. If you’ve got the time for a little history lesson, there’s an article here at Apartment Therapy that looks at the checkerboard pattern’s past and it does make for an interesting read. 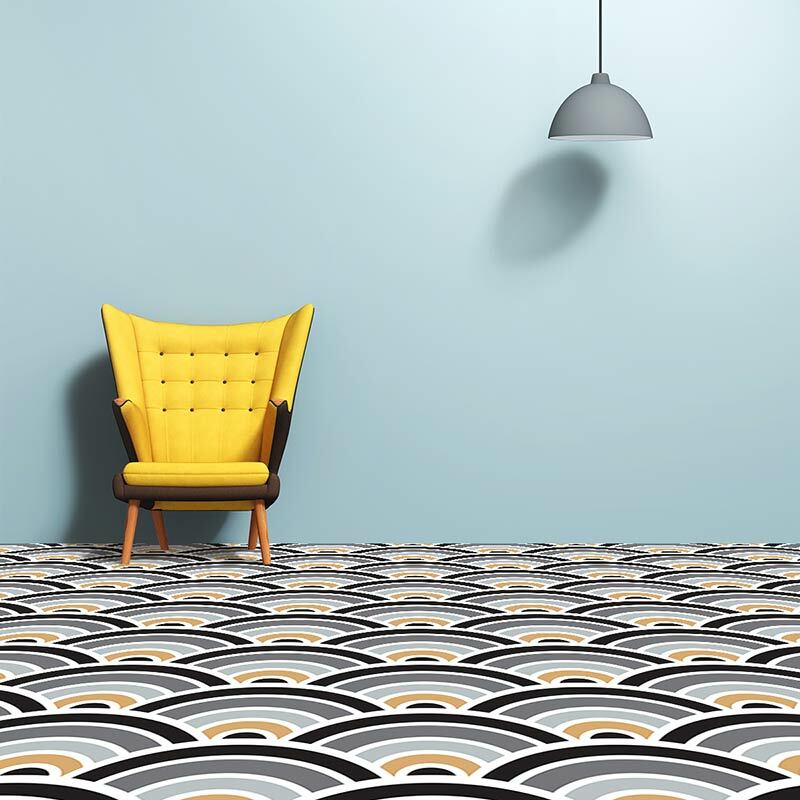 Ok, so we now know a bit about black and white flooring’s origins, its Victorian styling and Art Deco flair, but what about accessories for adding in a little accent colour? I’m a big fan of matching black and white vinyl flooring with a mustard or a dusky pink. A painted chair or cushion can be just what’s needed to pull your black and white theme together. A bright picture frame around a monochrome print works wonders to create a spot of colour. Just the right touch of colour to contrast against the black and white. If you’re going to use paint to create that individual accent colour, a radiator, door or skirting will look ultra extravagant against the black and white vinyl flooring. 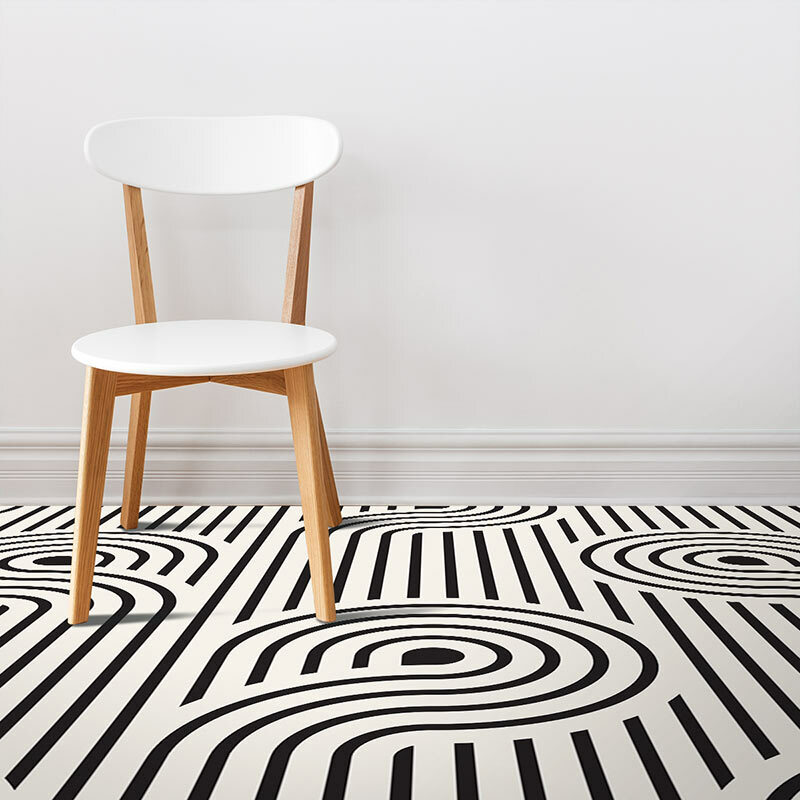 If it’s a bold black and white pattern that’s caught your eye, one of our decor tips when using flooring can really help to make a small room appear bigger. Ask us to tilt the design 45 degrees and let it flow diagonally across the room from door to far wall. It’s a clever trick that really works and before printing, we can mock up a visual proof to show you how it will look. To complement a cool black and white bathroom vinyl flooring, go for a pale pastel blue. 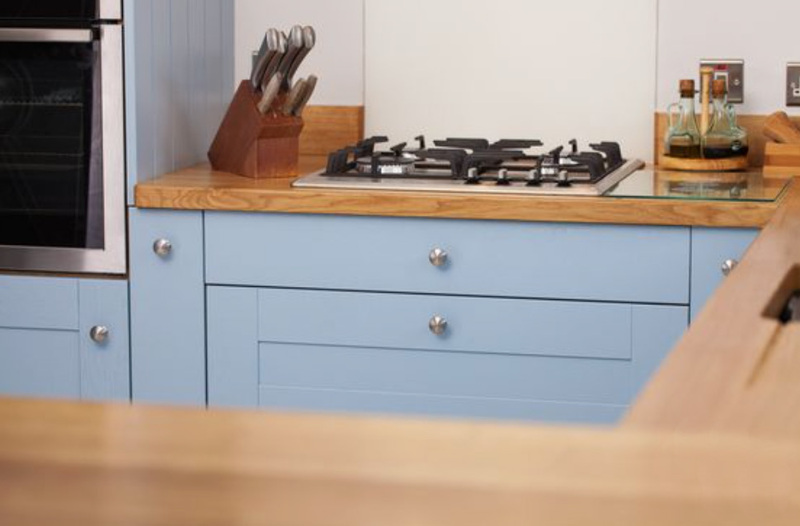 Something like the F&B Lulworth Blue will look fantastic paired with a crisp monochrome floor pattern. 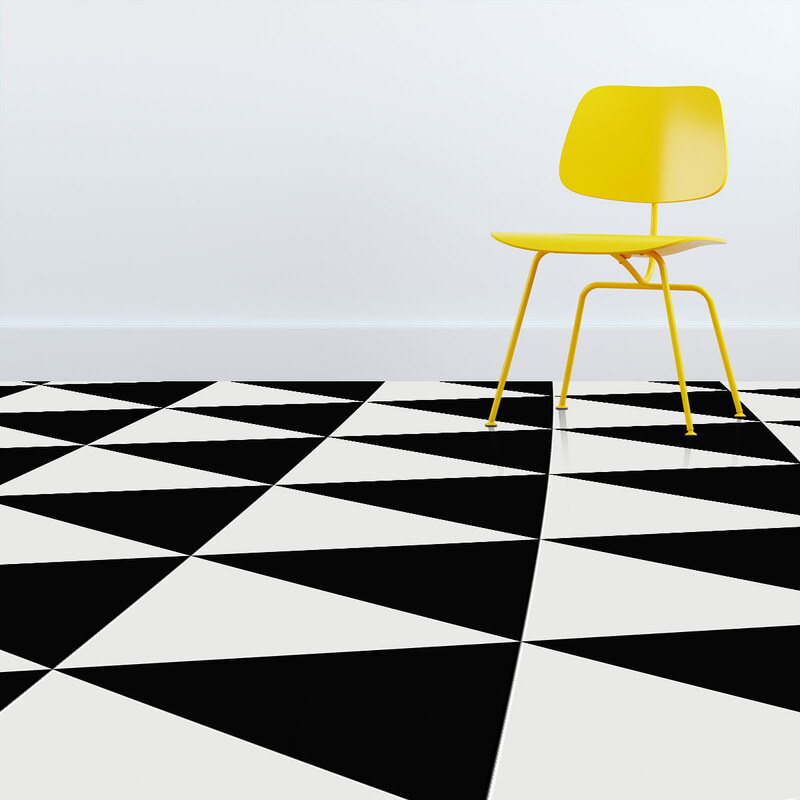 For the kitchen, an electrifying shade of yellow will cast it’s colour-pop across the black and white vinyl flooring. 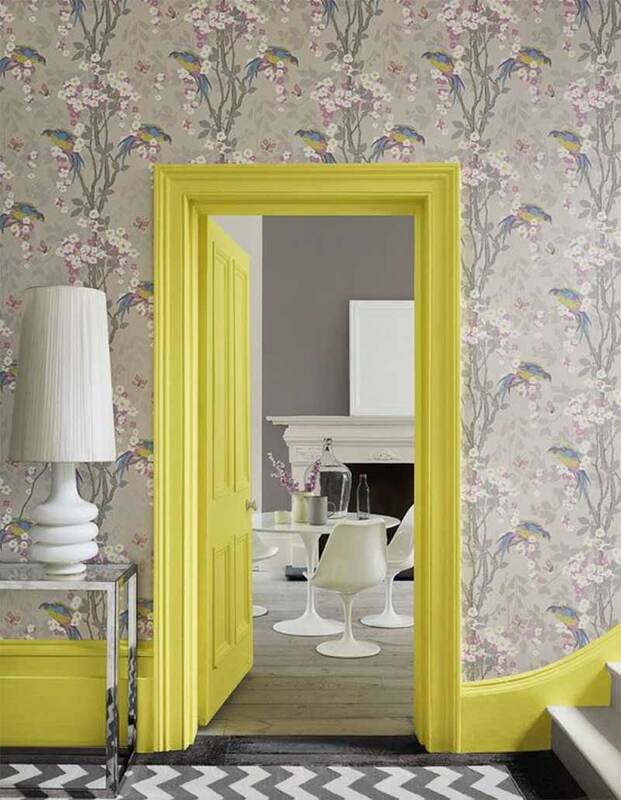 Go for something super bright from Valspar’s Pantone inspired paints and create a room that is unadulterated you. Metals match monochrome majestically. Matte black works with everything and alongside brushed or even glossy finishes, it’ll hold its own (and the room) together. Copper or gold finishes look delightfully decadent alongside stainless steel fittings and both will energise the black and white vinyl flooring. 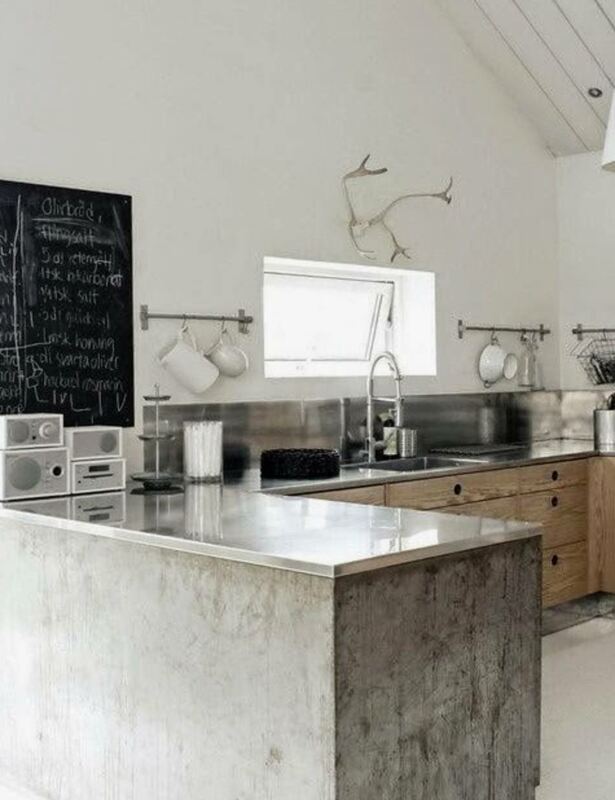 If your metal accessories are in need of a spruce up to match your new decor, don’t forget about metallic spray paints. In an afternoon, your whole room theme can be transformed with little fuss and super effectively. Shiny chrome works exceptionally well within a black and white theme. Keep your eye out for feature pieces such as a chrome coat stand for the kitchen or a laundry basket for the bathroom or utility. These little contrasting extras in a room make all the difference. 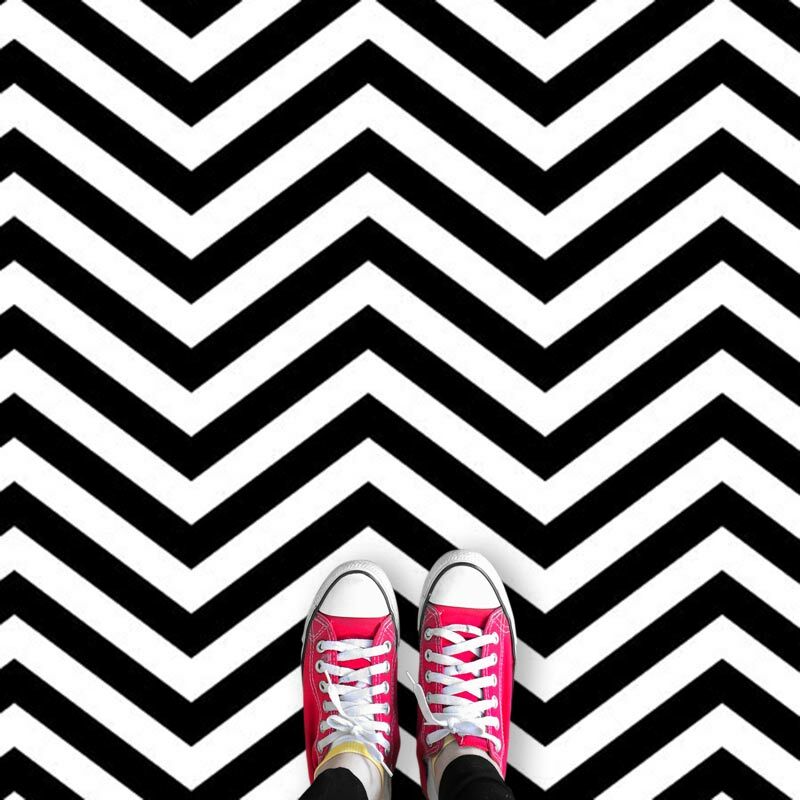 Whether it’s a black and white checkered vinyl flooring, a harlequin diamond pattern or a black and white tile effect, there’s a monochrome flooring roll out there with your name already on it. Your home is unique. Don’t forget to show it! 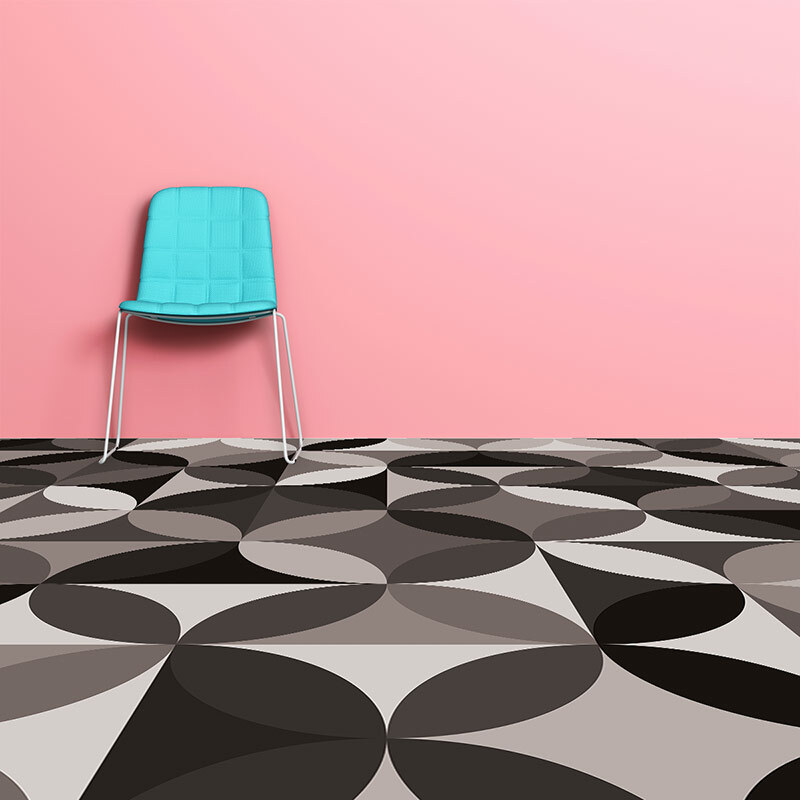 PS: Just in case you’re not quite ready to welcome in your dark side and still hankering for something a little more colourful, our post on patterned printed vinyl flooring could just have the colour-pop you’re looking for. 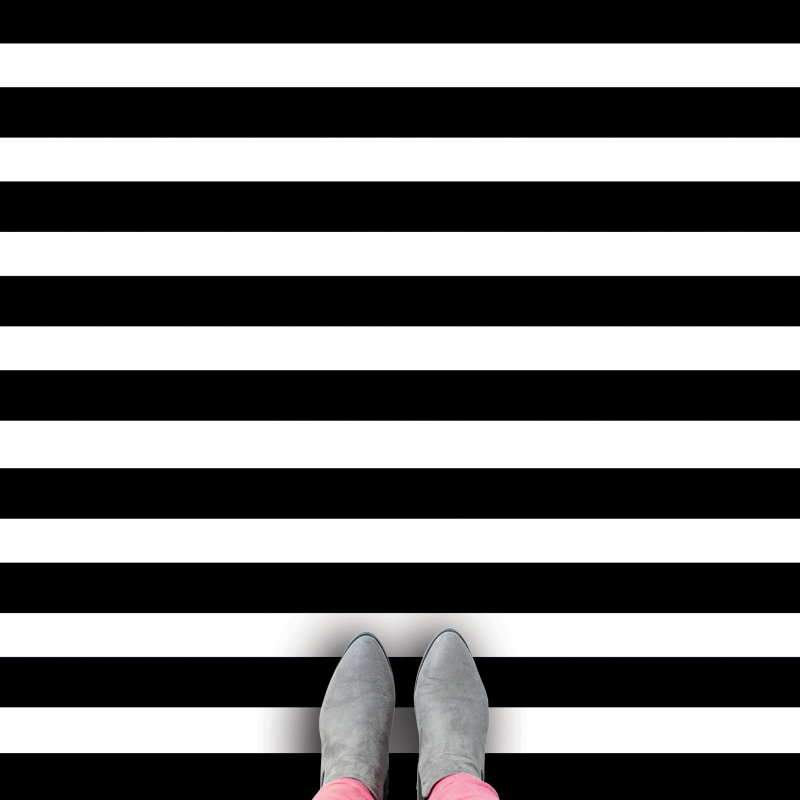 All of our black and white patterns are available at up to 2.9m wide. 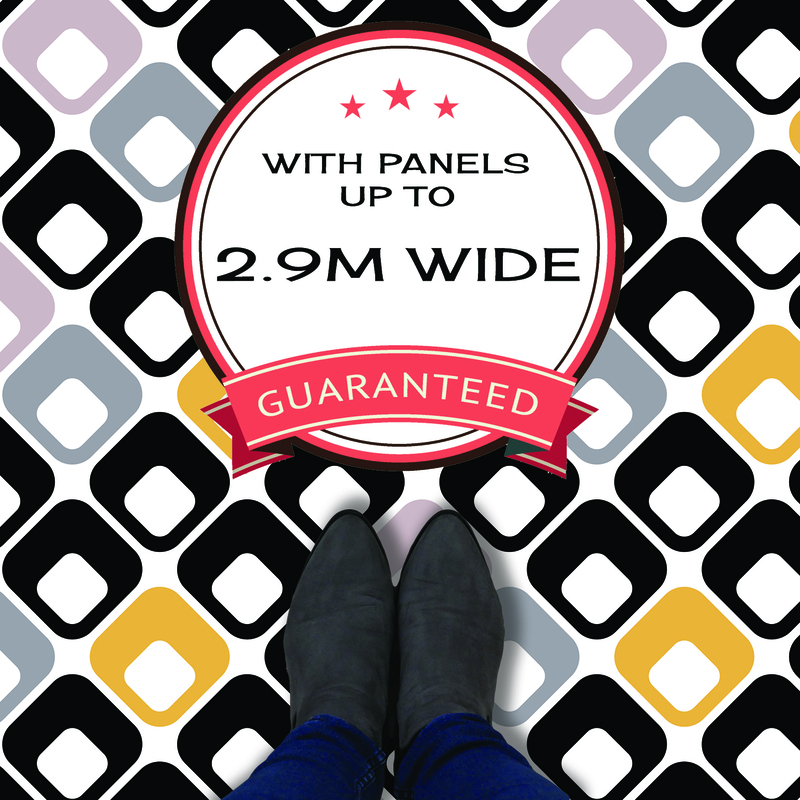 Click the link for more information on why we only use wide width vinyl flooring. If you’ve spotted any black and white patterns that have got you all hot under the collar, let me know on our social media.